One of the things you have to get used to when studying abroad is another country’s culture and customs. They may be radically different from what you’re used to in your own country and can take some time to get comfortable with. If you’re planning on studying in Canada for example, there are some things you should know about Canadian culture before you arrive. Canadians are often described as the friendliest people on the planet. And they really do live up to their reputation. Politeness is a massive part of Canadian culture and while you’re studying over there you can expect to be greeted warmly by everyone. People will smile at you on the street, ask you how your day is going and make general chit chat with you in shops and restaurants. You may find it overwhelming at first but you’ll soon get used to it. And don’t forget to be polite back! Canadians love their sport and one of the most played, watched and talked about sports in Canada is ice hockey. Wherever you decide to study in Canada, be sure to get acquainted with the local hockey team. Going to games will help you integrate into Canadian culture and no doubt you’ll make a few friends along the way! Canada actually produces 80% of the world’s syrup and is a staple of Canadian culture. And they even have a maple leaf on their flag. So it’s safe to say you’ll have to try some true Canadian syrup whilst you are over there studying. Tim Hortons is a popular Canadian food chain where you can sample some pancakes and syrup and a range of other breakfast foods! Canada Day is the national day of Canada and celebrates the day Canada as it is known today first came into existence. Every July 1st activities, parades and events will be put on all throughout Canada. People get the day off work as a national holiday so that they can enjoy the festivities. It’s a great event and day to take part in and you’ll get to learn a little bit about Canada’s rich history. Two languages are most commonly spoken in Canada; English and French. Depending where you’re studying in Canada, one language may be more dominant than the other but most people will speak and understand English. Whilst your lectures and classes will be conducted in English, don’t be surprised to hear French around campus or around your city. 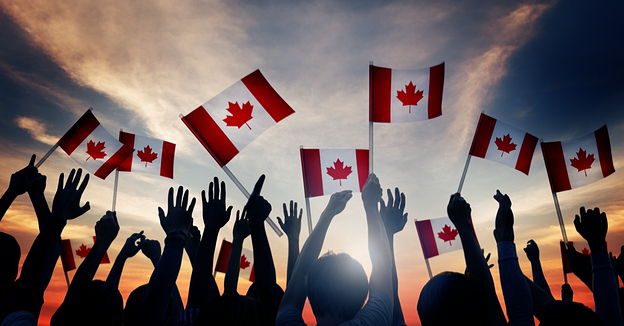 To cater to your specific requirements, here is a help guide on where to study in Canada. Studying in Canada is a wonderful experience and if you immerse yourself in the culture, you’ll thoroughly enjoy student life in Canada. To learn more about studying in Canada and how to apply to Canadian universities, contact us at IEC Abroad.